‘Celebrating its 50th anniversary, Cavalcade hosted a fashion exhibition and parade of Australian clothing fashions, from the late 1700s to 1970s’ (www.north-shore-times.whereilive.com.au 2012). 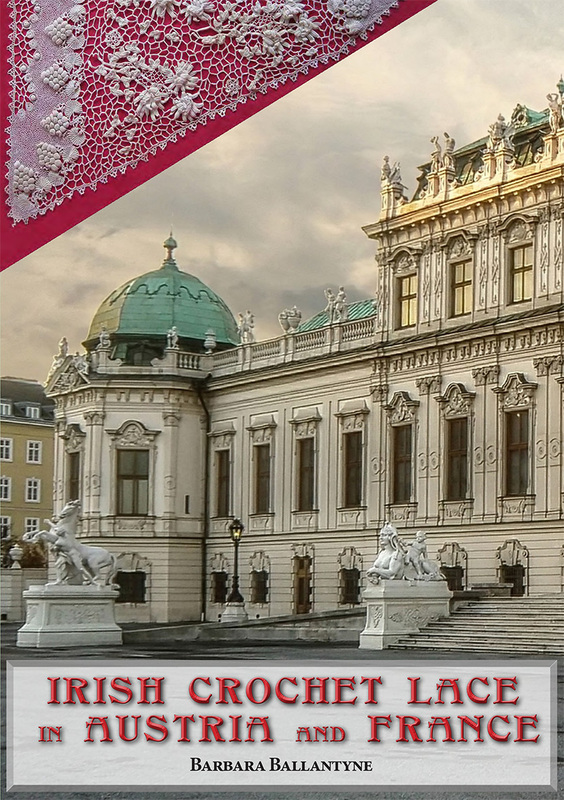 Two new books from Cavalcade member Dr. Barbara Ballantyne take a fresh look at Irish crochet lace, which is a more beautiful and interesting lace than is generally realized. They include many large illustrations of wonderful lace not previously shown. The books also consider design strategies, dating the items and techniques of interest to general readers as well as inspiring and assisting crochet lacemakers and designers. 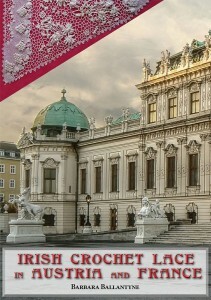 This book is about the lace from large Irish crochet industries in Europe at the beginning of the twentieth century. Even though it began with Irish motifs and techniques, the lace developed along different, more dramatic lines. The motifs became three-dimensional and were arranged in large areas of various grounds, often elaborate. The 25 items include collars, jabots, a jacket a handbag and lace for household decoration. 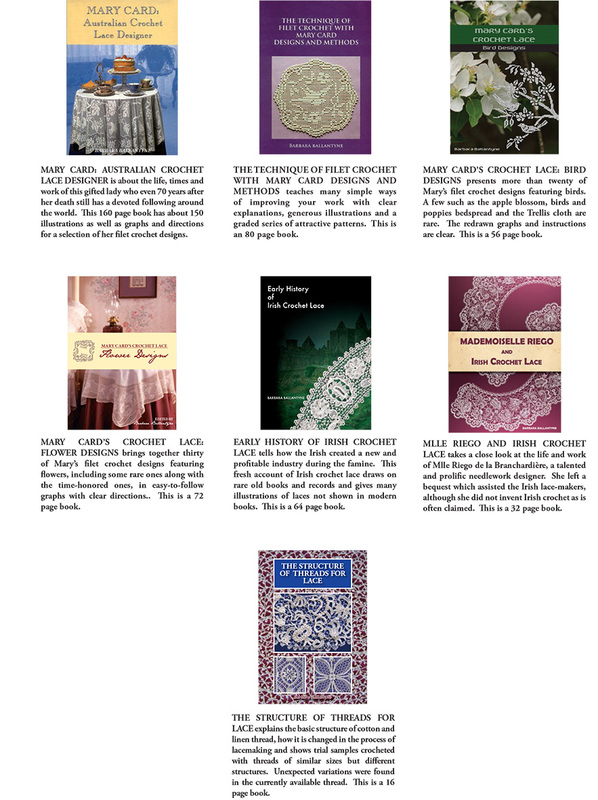 The six items from the Cavalcade collection featured, include the lace on the cover of the book. 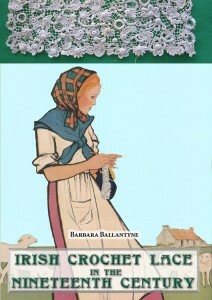 This book is about the lace created at the time of the Famine (1846-53) when Irish women made less expensive crochet versions of the needle and bobbin lace which was then in fashion. The 29 items in this book show numerous styles. Many are imaginative, conservative, even at times naive. Others are obviously similar to needle and bobbin laces. Flowers are featured. The laces are often dense, complicated and interesting. The large images are a joy and a delight. There are two examples from the Cavalcade collection. How the Watch was Worn ‘is a book on the manner, style and fashion of the wearing of watches for men and women’. The book starts with a brief history of timepieces and each chapter describes what and how watches were worn in each century. 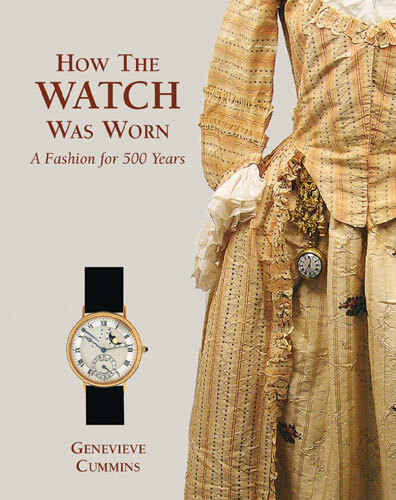 Throughout the book are illustrations, pictures of paintings, photos and actual gowns, or men’s clothing showing how the time piece was worn. There are also images of watches through the centuries. 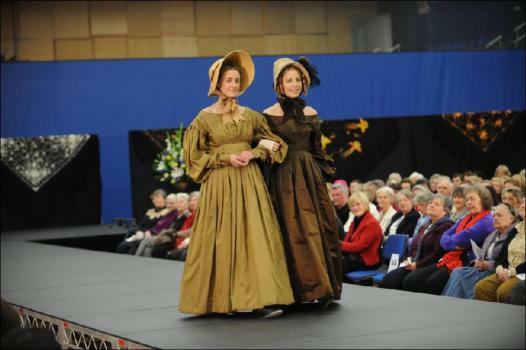 The book also features some of Cavalcade’s gowns including Mary Tween c1780 on the front cover and Alice Jemima c1880. Annette Meldrum, a member of Cavalcade visited Borris House with Marie Laurie in 2006, and they were concerned that the lace and remnants of the Borris Lace Industry were uncatalogued, unpublished and almost completely unknown in Ireland. Knowledge of the old techniques and true characteristics of the lace had been lost. 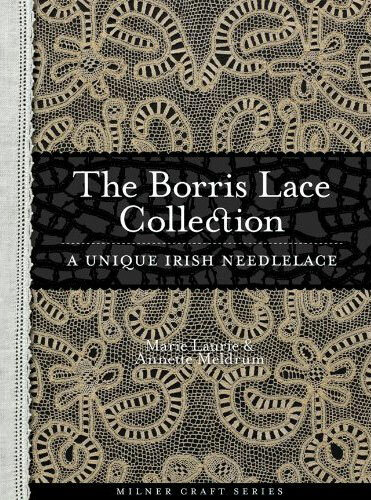 Annette and Marie were concerned that unless the history and techniques were researched and recorded, the technique of Borris Lace and the provenance that was currently known could be lost forever so they embarked on the huge task of cataloguing and researching the technique and its significance to Borris and Ireland. The book provides the story, historical records and inspiration to lacemakers who may over time be privileged to visit Borris and view the Collection for themselves as well as old patterns and instructions for re-creating this wonderful lace.